After introducing the new Cloud Practice Development Playbooks earlier this month, I’m excited to share more insights about the cloud infrastructure and management opportunity and how partners can begin to define their cloud practice in the booming cloud economy. The cloud infrastructure as a service (IaaS) and management opportunity is incredible, with the market growing over 51% in 2015, and IDC predicting compound annual growth of at least 41% through 2017. We know that customers are moving to a hybrid IT infrastructure. The world of traditional IT is under pressure to add agility, cut costs, and do more with limited resources. Organizations need flexible infrastructure that can scale on demand. Hybrid cloud provides additional IT resources as needed and allows IT teams to keep pace with changing business requirements. IDC further predicts that the overall public cloud IaaS market will shift towards optimization and hybrid cloud in 2017. By 2018, 80% of organizations will have a commitment to hybrid architectures. To help fully understand the opportunity, partners can now download the Cloud Infrastructure & Management Playbook for research and guidance on infrastructure modernization, hybrid cloud management and security, as well as hybrid cloud infrastructure implementation. To build these playbooks we conducted extensive research with over 1,100 partners with existing cloud practices. 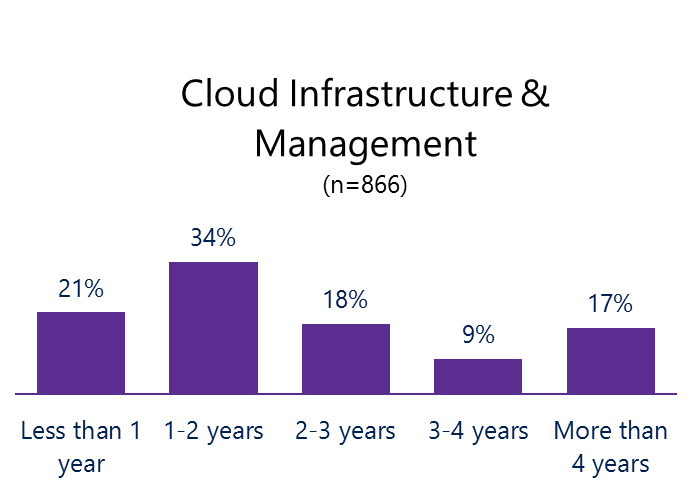 In that research study, we discovered that today, just over half of cloud-based practices are less than 2 years old, and 74% of partners require between 6 months and 2 years to achieve profitability as a new practice. 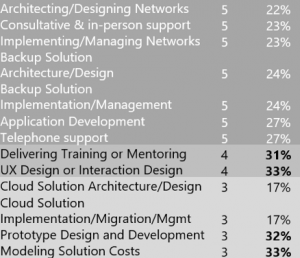 We also identified the areas that blocked most cloud projects, and therefore, needed more focus to be successful. 32% of participants reported difficulty overcoming cloud objections from customers who still don’t feel comfortable moving to the cloud. 31% of participants reported difficulty keeping their technical staff up to speed and trained on the latest technology. 29% of participants reported difficulty generating a continuous pipeline of leads. In light of those key difficulties, we provide a number of solutions partners can build into their practices for an easier path to profitability. 83% of leads are generated through sales activities. 43% of leads are found through demand generation and marketing activities. 20% of leads come through their organization’s website. These results tell us there is a clear need for an updated website where potential customers can find the expertise, solutions, and capabilities that would convince them to work with a company to help them on their journey to the cloud. Partners said the top Microsoft Azure services leveraged across cloud infrastructure and management projects include Virtual Machines & Networks, Azure Backup, Azure Site Recovery, Automation (templates and scripts), Operations Management Suite (OMS), and ExpressRoute. While analyzing the skills and experience of the staff needed to deliver a successful cloud infrastructure and management practice, we found that experienced employees contribute greatly to the overall success of our partners. Businesses that successfully deliver cloud infrastructure and management services employ people with an average of five years’ experience. Microsoft’s commitment to partners is clear from the resources we provide to the balance of revenue we influence. For example, the average partner sells more than $4 of their own offering for every $1 of Microsoft cloud solution that they sell or influence the sale of. For partners who focus on cloud, that number jumps closer to $6. To further support partners, our new Cloud Infrastructure & Management Playbook helps businesses deliver faster innovation with optimal control and security built on new hybrid cloud capabilities. The market information and guidance provided offers a user-friendly roadmap to partner profitability for the modern age. I hope you find this new playbook helpful in developing a profitable, sustainable, and optimized cloud infrastructure and management practice. Please feel free to reach out with your questions and feedback in the comments below! How have you taken advantage of the cloud opportunity with your cloud infrastructure and management practice? Share your thoughts in the comments below.